When looking to fill the Mos Eisly Cantina with an assortment of visually interesting creatures, the effects team initially set out creating all sorts of new and unique creatures, the likes of Panda Baba, Momaw Nadon, and even Greedo. But, sometimes you don’t have time to make an expensive and unique costume, so you just have to make due with an off-the-shelf wolf man costume. Thus began the life of Lak Sivrak, the cantina patron that George Lucas hates, precisely because he’s just an off-the-shelf wolf man. For the 1997 special edition, Lak found himself replaced all together, with a totally new alien, but that didn’t stop him from getting an action figure as a consolation prize. 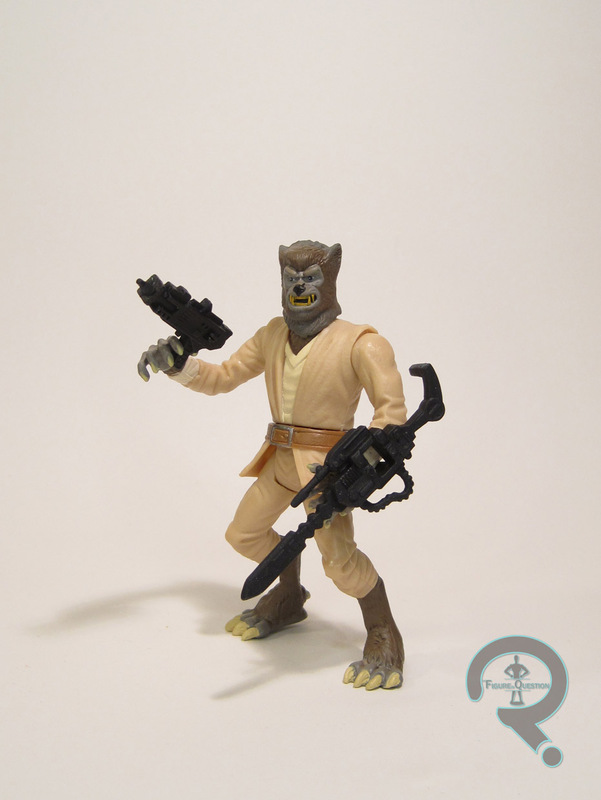 Lak Sivrak was released in the 1998 assortment of Power of the Force II figures. The figure stands 3 1/2 inches tall (because of the slouch) and has 6 points of articulation (unaffected by the slouch). Have I mentioned the slouch? It figures somewhat prominently into this guy’s sculpt, which was brand-new at the time, and has remained unique to him. It’s a pretty decent offering. As an alien, he’s not held back by this biggest issues that plagued Power of the Force, being far less stylized looking that his compatriots. Sure, he’s still quite stylized, but he looks less so, and that’s really the important thing, right? 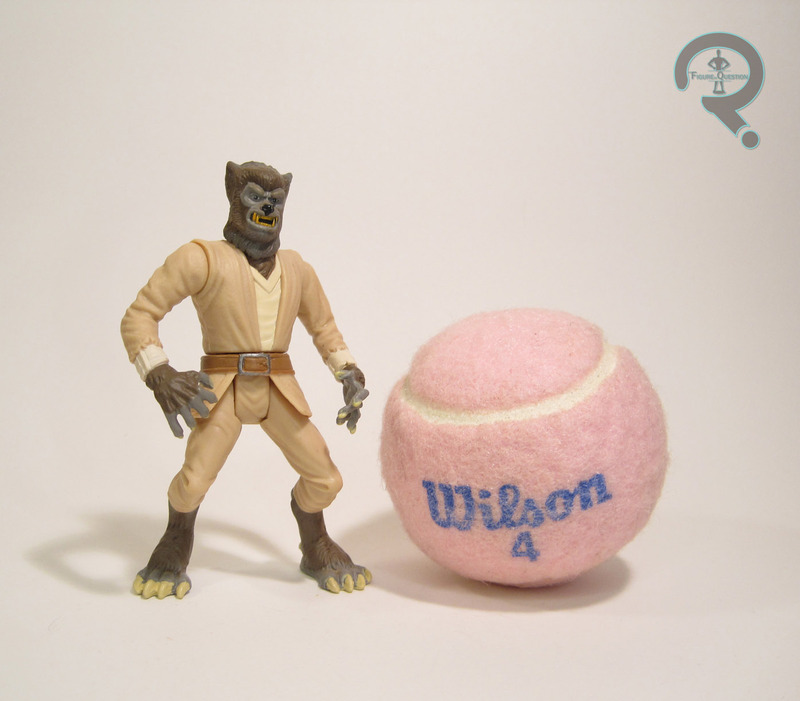 The aforementioned hunch falls in line with the typical pre-posing of these figures, but when it’s applied to a wolf man creature, it’s certainly less noticeable than it would be on the likes of Han or Luke. Maybe that’s just how he stands all the time. We don’t know, we’ve only seen him that one time, and he was sitting down. Weird wolf man posture canon confirmed. You heard it hear first, guys. Lak’s paintwork is pretty standard faire. It’s clean, it matches well with the source material, and there’s enough small detail and accent work to keep him from looking too bland, so I think we can call that a win. 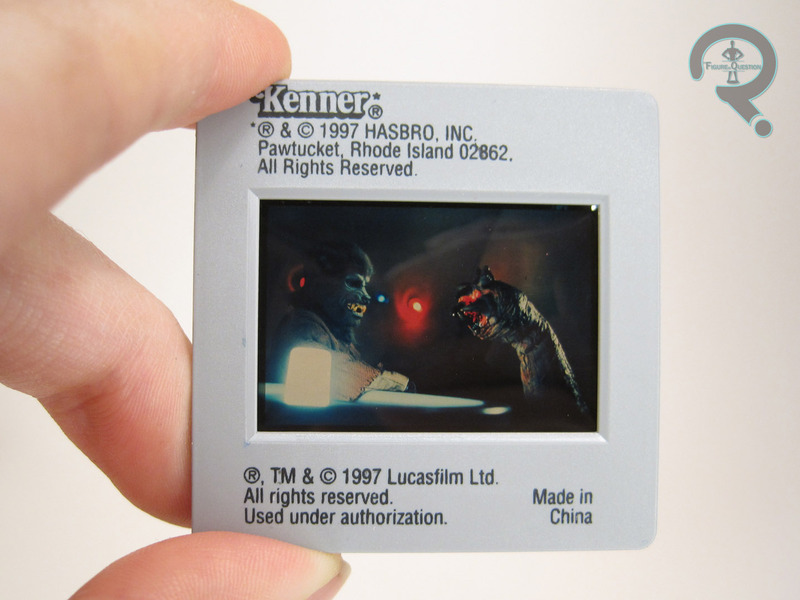 Lak is packed with a blaster pistol, a “vibro-blade” (whatever the heck that is), and one of the freeze frame slides, offering up proof that, yes, this guy really was in the movie. Lak is yet another more recent addition to my collection, though recent is becoming increasingly relative in these reviews. I picked him up from one of Lost in Time’s sidewalk sales back during the spring, alongside a whole slew of other figures. He’s nice enough, and has the virtue of being something of a talking point, due to his disappearance during the special editions. And hey, if nothing else, he’s a pretty sweet Wolf Man figure, right?